1. Make it short (only 5 weeks) – Many people can focus on a short period so having a shorter contest allowed a lot of people to just “put their blinders on” for the next 5 weeks. 2. 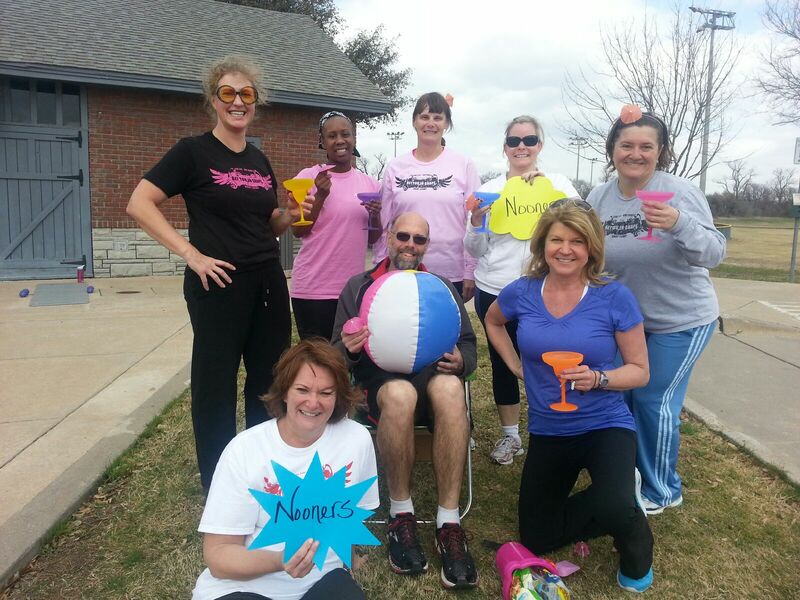 Spit up in Teams of 4-5 – Since we are a Group Personal Training program, we thought it would be a great idea to put folks in teams. This proved to be a huge reason why people has great results because they were not only following the program for themselves, but knew they were going to be held accountable as a group. 3. Provide accountability – Each team (and individual) was assigned one a Personal Trainer from Get You In Shape to help them throughout the five weeks. Each individual was asked to do some sort of nutrition and exercise log (most used the MyFitnessPal.com app, which is the only app we will recommend because it proved to be easy to share and with the trainer and teammates) and turn it in every Friday. 4. Give Prizes and Awards – Let’s face it, people are motivated to win something. A lot of participants in the challenge were motivated just knowing they were in a competition and Get You In Shape was going to be awarding prizes to the winners. 5. RESULTS – This is the main reason we launched this for our clients. We encourage you to watch the videos and hear all the benefits each individual achieved because of the Get You In Shape Biggest Winner Contest. In the end, people were looking for results and we had 23 people that had some great results in just 5 weeks. Below are the Teams that participated in the Get You In Shape Biggest Winner Contest. We are very proud of each of them and by the results above, everyone deserves to be CELEBRATED! The pictures of the 7 teams are below and we are sharing the winners testimonies of the top 4 teams. Prizes – We factored in weight lost, body fat percentage, turned in journals, attendance, off-day cardio and following the guide book. Although every who did most of the above deserves to win just for participating, we did come up with some winners based on everything. Aylan: Being on a team has helped me to get motivated to exercise, eat better and keep track of daily calorie intake. Knowing that the other team members were so into the contest, it made me behave more responsible with my exercise and eating habits. Ellie: The accountability and encouragement really helped. One day I knew I would be heading to a “fun night out with the girls” and asked my STILL FLABULOUS team for feedback to help me because I was not feeling strong enough to stay focused. The feedback was really wonderful, helped me feel in control of my own decisions and ended up being a perfect ending! I credit my fellow teammates. Thank you! Mary: Knowing others are in the same position (ie trying to control weight/exercise regularly) makes it easier to stay on track. Communication among the team members is fun! Kathleen: Knowing that we are all in the same boat, exercising is not really the issue; nutrition is more of the battle. Helps to know that we all are struggling with the same things. What habit(s) have you been able to change due to the fact that you were being held accountable by your teammates? Aylan: I started to exercise on the off days. Now, I like to keep track of my calorie intake which helps me not to abuse on unhealthy and high calorie type of food. Ellie: I stopped drinking wine during the week and saved a glass for a special occasion. Mary: Journaling food intake!! Not necessarily fun but makes you address problems. Janet: Journaling is newest habit, continuing even though we have finished the Biggest Winner contest. How has your view of attending boot camp changed now that you have been part of a team within the Get You In Shape Community? Ellie: I really looked forward to seeing my teammates and routing each other on. Kathleen: No change, always look forward to the workouts, ok ALMOST always and feel great when I am done! What was they hardest part about the last 5 weeks and how was it overcome? Aylan: The hardest part for me was to avoid bad food and exercise while traveling, or at birthday parties. Ellie: For me, patience was required. The scale wasn’t moving down as quickly as I would have liked, but I knew that I was doing the right thing. I just kept telling myself to keep going. Janet: Not having dessert with my friends when out together. What are some if the outcomes or results been due to your participation in this contest? Aylan: I did not lose a lot of weight (only 2 lbs), but lost a lot of inches. Ellie: I lost 5-6 pounds, but I know I lost inches. My clothes are not as tight. I also sleep really well! Mary: Lost 7 lbs (plus 2 more before the contest started) and some inches. Able to wear some jeans that had gotten a wee bit snug. Mile time improved. Janet: Lost 5 pounds and broke the 8 minute mile barrier! Went from an 8:46 minute mile to a 7:57! My inspiration is my team! Each one of them motivated me to participate in this context! Because of them I got the benefits! Special thanks to Laura Martinez for giving me the big push! I lost some pounds, not much but I lost. I exercised 6 days a week and I want to continue it! I like the fact that I can still lose weight, challenge myself even after 4 years of boot camp. Thanks Julie for guiding us! I tried to face this challenge with the eyes of a new participant! Having my journal, emailing each other, motivating each other, greeting each other at boot camp times, talking to other team members made this competition fun; afterwards we want to be around people that make difference in our lives, and the boot camp community does! I’m so proud of all of them! The “Greatest Winner” contest with Get You In Shape was timed perfectly for me. At first, I was not going to participate because I was in the midst of a happy/stressful time in my life! With planning my only daughter’s wedding, I easily get into the habit of stress eating. In the past, I would grab unhealthy things for snacks, cookies, cake, junk with empty calories. Then my team members from the previous challenge, convinced me that this is the PERFECT time to be in the contest. Gone will be the “stress eating habit!” Laura, Kelly and Daniela were right! The Advocare cleanse always starts me off on the right foot too! Along with motivation of my team members, I’ve been able to keep up with my food journal and chose healthy snacks, like fruit and popcorn popped with extra virgin olive oil. It’s amazing how grapefruit can taste so sweet when I’ve been away from refined sugar. I love the feature with “My Fitness Pal” of being able view my team members’ progress. I look at their workouts and results daily and this keeps me on course. Laura has been especially inspirational at 5:30 a.m. with her special boot on. No stress fracture will slow her down! I mentioned this a couple of times, but in all honesty, I went into this contest this time kicking and screaming. Not because of my group, and not because I didn’t want to make changes or get results, I guess it was because I knew it was going to be work. Looking back, I was probably acting like my 6 yr old – digging my heels in because it wasn’t exactly what I wanted to do. 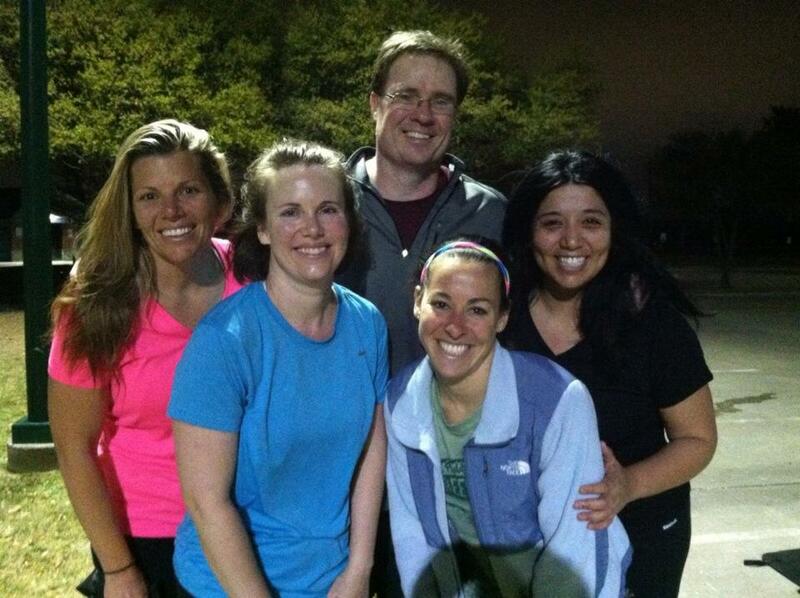 But when Laura mentioned that we should try to defend our title, my competitive side kicked in. So I said yes. And I will say, that yes, 5 weeks later, I am glad I did. 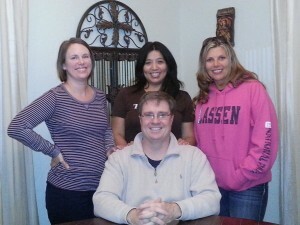 I love my team – Laura, Jeanette, and Daniela were all so encouraging, motivating, and inspiring. We were always lifting each other up, pushing each other to go just a little bit harder, farther, or longer. They gave me that extra boost of confidence, knowing I had 3 cheerleaders in my corner (4 including Julie!) They are an awesome group of ladies! During these 5 weeks I lost 10.8 lbs and 11.75 total inches! My goal was to lose 5 – 10 lbs, so I did it! One of the things that this contest did was get me back in the habit of making my off-day cardio happen, making it a priority. In the past, this had slacked off – with work and my kids’ schedules, my off-day cardio was getting pushed to the bottom of my to-do list. I would still attend boot camp, but my off-day cardio always slid to the bottom. During the contest, I was held accountable to my team, and I didn’t want to let them down. So I always found a way to get my cardio in, whether it was right after the kids left for school, or 1:00 in the afternoon after I got some work in. I made it a priority. It wasn’t a question of if I was going to get it in, it was when. And I always felt better afterwards. It helped a lot those days when I was stressed because of work. I work out of my house, so some days I would just step away from my computer and walk/run in my neighborhood or at Andy Brown. IT always felt so good to be outside and release some stress and tension. I always came back feeling better. (And I’m sure I was more productive and focused.) I plan on continuing this even though the contest is over. One of the hardest parts for me was logging my food. The MyFitnessPal app was great though, and made it easy for Julie to check. My nutrition wasn’t horrible before, but it definitely could have been improved. So the logging did help me. Mainly with portion control, and I realized how much snacking I really did before this contest. Since I work at home, I have full access to my kitchen at all times. Even if I chose healthy snacks, I realized that I was eating too much of it or eating too many snacks between meals. Sometimes I do tend to stress-eat. So this was hard for me to keep under control, but I did it. I am definitely more aware of that now. Another one of my goals was to drink more water. I’m still not exactly where I want to be with this, but I have definitely increased my intake. It is not that I’m drinking anything else (no alcohol, no sodas), it is just hard for me to drink the right amount during the day, period. But I’m working on it. I bought a large 32-oz cup that I use to help gauge how much I drink. Also, during this contest I got consistent again with taking my vitamins (CorePlex) and drinking my Meal Replacement Shakes and Spark. I had gotten a little complacent with this part. Now, I’ve gotten back into the routine with these. And all in all, I feel great. After these 5 weeks, I feel stronger, and feel like I’m back on the right path again for my health and fitness. 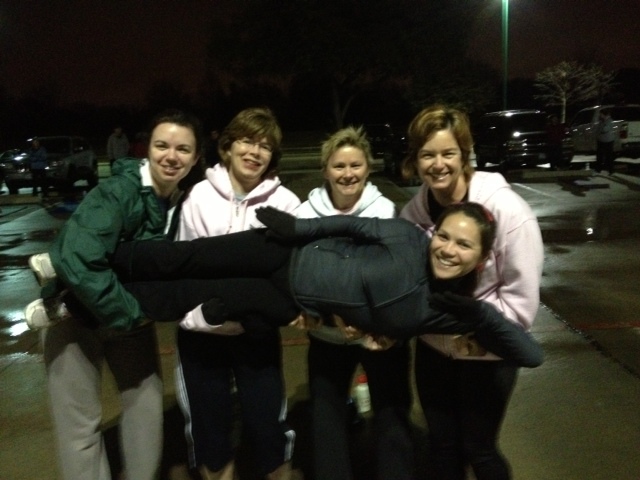 I just needed a little kick in the backside and Laura’s challenge, of course, “We have to try to defend our title! !” So kudos to Laura for getting the gang back together! I’m glad I finally jumped on board! The 2013 Biggest Winner Challenge has been just that a challenge! We have two busy Moms on our team, one Mom who had a big wedding and me a business traveler with a stress fracture half way through the competition. Despite the daily/life challenges it has been rewarding to participate on this team. We managed to help each other stay focused and were reminded of the value we bring to our families when we make time to take care of ourselves. I stayed inspired by the dedication the others demonstrated and by the joy and successes they experienced. I was amazed at the amount of exercise JB got in each week, and joyful at the off day cardio dedication and fitness improvement DC and KO demonstrated. What strong and talented women. How can you not be inspired when you are surrounded by such great people? It was also helpful to stay connected with others in the challenge. We supported each other even if we did occasionally trash talk. With the support of our trainer we also gained insight on healthy eating and personal nutrition. 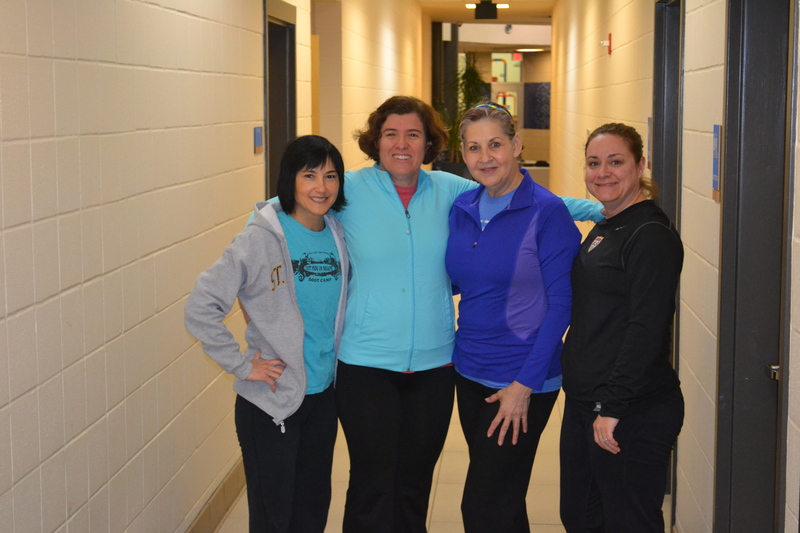 While I did not meet my originally stated goals, the challenge helped me stay on track during challenging weeks of spring break and the final two weeks after sustaining the stress fracture. The community and camaraderie the challenge created brought me closer to many others and broadened my world of friendships and support. It has been a fun and successful five weeks! made the decision to form a team in order to accomplish more together than they could alone; embracing the mantra, Together Everyone Achieves More (T.E.A.M.) And while the story takes on different challenges for each of the individual team members, the outcome of the journey would prove itself to be a rewarding experience, as the synergy within the team would evolve. 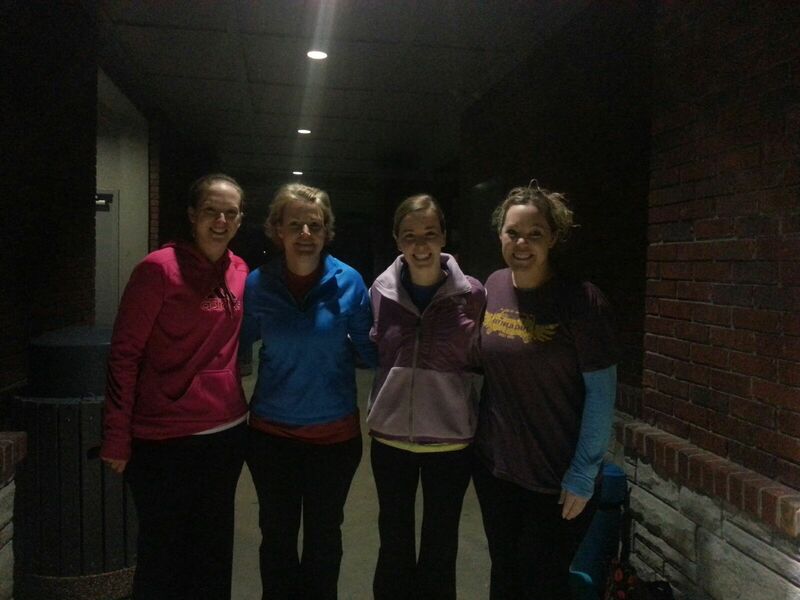 Our coach and mentor, Kristi “Sparky” Walthall became the inspiration for Sparky’s Angels, as this group of 5:30a.m. boot campers would come to call themselves. The adventure began with each member candidly sharing their goals and vulnerabilities. Early on, the team knew that if Sparky’s Angels was going to be a successful collaboration, then it would be essential for each team member to understand how their individual skill sets would aid the overall unit. Roles were defined and the challenge officially began. From the beginning, it was important that our team understood that no one would ever be in this alone…..despite the challenges of busy home lives, work and travel schedules, illnesses, weddings, or birthdays. Sparky’s Angels would commit to be there for one another; encouraging, believing, motivating, and sharing innovative perspectives, as the team consistently worked towards attaining the goals they had shared with one another. 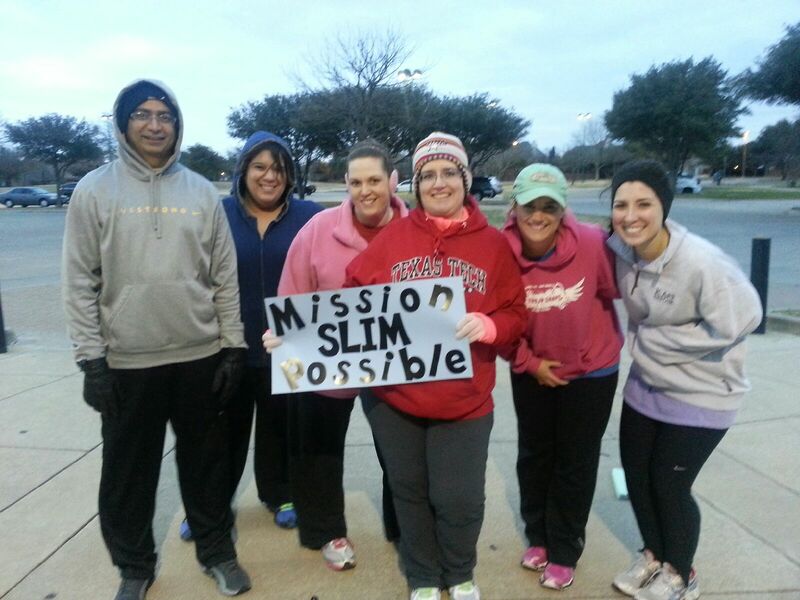 Fast forwarding the story by five weeks, collectively Sparky’s Angels lost a total of 52.4 pounds and 43.75 inches. As the team celebrated the awesome five week results, we took a few moments and reflected on why/how we had not only met our goals, but had in fact exceeded the goals in just five weeks. What we learned during this reflection was that this challenge did not mark the end of an event, but in fact a beginning….a beginning that would reaffirm to each of us that we did have the discipline to shed 20 pounds, lose a couple of inches from our problem areas, go down a dress size to fit into that special Easter dress or, spark that flame within each of us that says, you can do this and your hard work will shine. Knowing your team was counting on you to stay committed and true to the cause was all the inner drive and motivation one needed to pass on that craving and shift that energy to making healthy choices, our new lifestyle. Lindy Kinnan Lost 8.8 #, 5.3 % Body Fat and 8.75 inches in 5 weeks! I got back to 5 pounds over my pre-baby weight in 2010, but then I got New Daily Persistent Headache Syndrome (a disease that causes a continuous migraine). I quickly gained 25 pounds in several months from all the medications that I had to take. I have been trying to lose that weight for a year and a half. I tried Weight Watchers for a year, exercised on my own, and attended their meetings. I never lost more than 7 pounds, even though I stayed in the daily eating point totals. I started GYIS boot camp in September. I attended 3-4 sessions a week and started keeping a food diary most of the time. I lost slowly, but was finally losing weight! I was finally charge of if I exercised since my kids and husband were still asleep while I was working out! After gradual loss since for six months, I was feeling a little frustrated because I gained a little back after the holidays. Plus, I had thought I would lose faster with my consistent exercise. I was interested in extra motivation. I started camp at the same time as Diana and Russell, and love the camaraderie I get from working out next to them in the 5:30 AM class. When they asked me to join them and Elizabeth on a Biggest Winner team, I knew I needed to do it. I finally got very consistent with tracking my food. I tracked every meal instead of being sporadic with my food diary. I think that made the biggest difference for me. I didn’t want to let my team down by not being serious about my commitment. 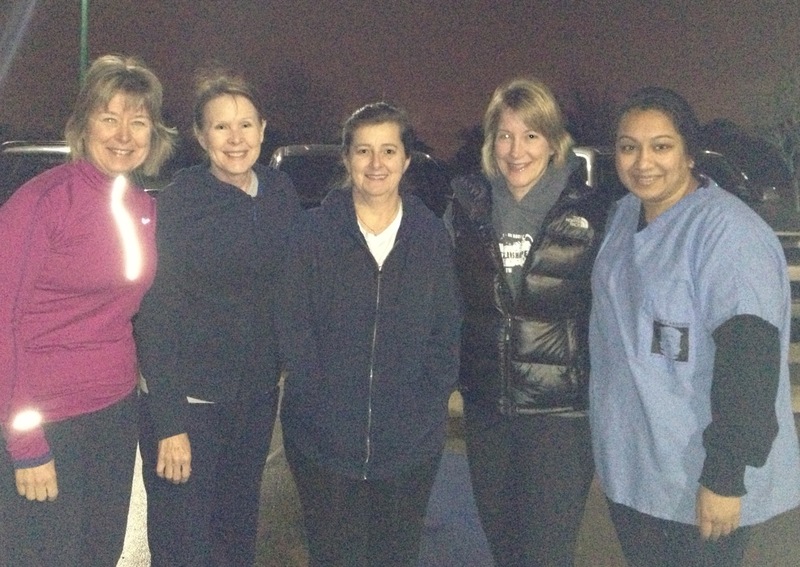 Over spring break, we got together and exercised at 5:30 AM. I wouldn’t have been able to get as many workouts in that week if I had exercised only when I could work around my kids. I didn’t want to miss an opportunity to burn calories. I also got better at working out on Thursdays. I have a bible study in the mornings that day, and it is my hardest day to get in cardio. I worked out at home with the new Advocare dvd. I went out of town for four days to attend a family wedding. I was nervous about losing ground while in less control of my eating those days. I did allow myself to enjoy the food at the wedding and rehearsal dinner, but I ate oatmeal and fruit every morning instead of the donuts and other treats at the buffet. This was an important step for me to learn how to not totally go overboard while eating out for every meal. There was a Starbucks in our hotel and I didn’t get my favorite chai tea latte once, though! I gained 1.5 pounds over those days, but I did get it off in less than a week. On the last day of the competition, my jogging stroller had a flat tire and my daughter was grumpy. I didn’t want to skip exercising and it was already evening, so I ran small loops around my daughter at the park while she cried the entire 24 minutes. Knowing my team was all doing their part on that last day of the competition gave me the extra boost to keep trying! I lost 8.8 pounds and 8.75 inches. I feel accomplished to see my hard work pay off with results. Experiencing this success has given me the belief that I can meet my goal weight if I stay very focused. I’m very glad that I got strength from my teammate’s successes, and their encouragement that we could accomplish more as we worked together. I went into this contest this time kicking and screaming. Not because of my group, and not because I didn’t want to make changes or get results, I guess it was because I knew it was going to be work. Looking back, I was probably acting like my 6 yr old – digging my heels in because it wasn’t exactly what I wanted to do. 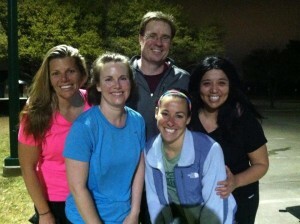 But when Laura mentioned that we should try to defend our title, my competitive side kicked in. So I said yes. J And I will say, that yes, 5 weeks later, I am glad I did. 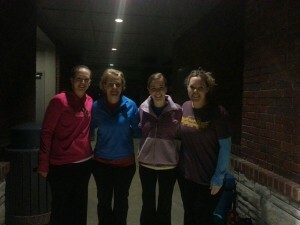 I love my team – Laura, Jeanette, and Daniela were all so encouraging, motivating, and inspiring. We were always lifting each other up, pushing each other to go just a little bit harder, farther, or longer. They gave me that extra boost of confidence, knowing I had 3 cheerleaders in my corner (4 including Julie! J) They are an awesome group of ladies! One of the hardest parts for me was logging my food. The MyFitnessPal app was great though, and made it easy for Julie to check. My nutrition wasn’t horrible before, but it definitely could have been improved. So the logging did help me. Mainly with portion control, and I realized how much snacking I really did before this contest. Since I work at home, I have full access to my kitchen at all times. J Even if I chose healthy snacks, I realized that I was eating too much of it or eating too many snacks between meals. Sometimes I do tend to stress-eat. So this was hard for me to keep under control, but I did it. I am definitely more aware of that now. Another one of my goals was to drink more water. I’m still not exactly where I want to be with this, but I have definitely increased my intake. It is not that I’m drinking anything else (no alcohol, no sodas), it is just hard for me to drink the right amount during the day, period. But I’m working on it. I bought a large 32-oz cup that I use to help gauge how much I drink. Elizabeth Eimers Lost 11.4#, 6.6% body weight and 11.25 inches in 5 weeks! I learned and changed a few things in my life that I needed to change to better my health and fitness level in the last five weeks. For starters I learned how to portion size my meals and snacks, not supersize them! I learned that a little extra cardio won’t hurt, as a matter of fact it will help you to shred some of those pounds. Last but not least I learned the importance of journaling, knowing the amount of calories that I put in and how to set a daily allowance. I found that the journaling part was the hardest part. It was overcome by the results I saw and it actually helped me to find out how some food affected me. For example if I ate oatmeal for breakfast I would be hungry all day long, however if I ate egg whites and a slice of honey whole wheat bread I felt amazing all day. I also learned how to work in some of my favorite foods to my daily allowance so I never felt like I was on a fad or crash diet. The outcome of my experience in this contest was far more than I ever dreamed it would be! I made three amazing friends that held me accountable, motivated me, and encouraged me to lose 11.4 pounds and 11.4 inches in 5 weeks!! If you want to see change, then change something in your lifestyle. Change your portion size, do more cardio or try a new cardio activity, try new recipes, try journaling and don’t forget to write down how you felt at the end of the day so you can modify. I hope my experience inspires you to take the challenge and start your body transformation. I joined Get You In Shape for two reasons, Diana my wife kept asking me to do some sort of workout program with her and I was extremely out of shape. I had resisted joining something like this because I felt that I had gotten myself in shape before and I could do it again. Of course that was when I was single and much younger. So finally I reluctantly joined and I’m grateful that Diana kept pushing us because things have changed for the better. In August 2012 I weighed 263 lbs and I had just had meniscus surgery on my left knee a few months earlier. I knew I needed to drop weight and build up the strength in my knee if I was ever going to regain full mobility. We started attending the 5:30am class as our work and family schedule did not allow us to make any of the other classes and it was everything we had hoped it would be. It was a welcoming environment that allowed us to work at our fitness pace and with modifications that allowed me to get the most out of a workout even with my knee. Over the first 3-4 months we lost some weight but it was more like I was taking 2 steps forward and one step backward. I was eating right sometimes and I was doing my off day cardio sometimes but then Thanksgiving and Christmas came along and I took 2 more steps back. But the New Year came and we redoubled our efforts. We were making a little progress while making some more friends in our class but it was slow going. When the Biggest Winner Challenge came along it was just the thing to really kick start our journey to getting in shape and living a healthy lifestyle. Diana and I joined up with our friends Lindy and Elizabeth to form Sparky’s Angels. I was of course playing the role of Bosely. The next 5 weeks were fantastic on so many levels as we supported each other in achieving our individual goals and built stronger friendships in the process. Below I’ll answer the questions that were posed but I just wanted to say that this process has given Diana and I a roadmap to a healthier lifestyle and since we have each other to rely on we know we will be able to keep this going. It also helps to know that we have other friends that are in this with us to lean on and help in their journey as well. It’s so much easier to do this together. Today I weighed 233 pounds and I’m no longer reluctant. What are you doing differently for your health and fitness that you were not doing 5 weeks ago? First I’m journaling all of the time and not just some of the time. Second I’m getting in my off day cardio and I’m even getting in a second workout most of the days I attend class. I know this really jumpstarts my metabolism and burning as much fat as possible. What was the hardest part about the last 5 weeks and how was it overcome? The hardest part for me was getting sick in the middle of the competition. I was really working hard and then came down with a head and chest cold that really put me out of commission for about 5 days. I was very weak during that time and it took the better part of a second week to get my strength back. My teammates got me through it by continuously encouraging me and when I did come back we did a workout on our own that eased me back into the physical part. Obviously losing the 22.4 pounds and 15 inches has been great. People have noticed and it’s great to get that feedback but the biggest result was that I have changed my goals. I started out wanting to get to 220 pounds but now I believe I can actually get to 200 which is a weight that I have not seen since I was a freshman in college. I know how to do it and I have the support system to get me there. What can you say to someone who is struggling with a plateau or with a motivational slump in their overall health and fitness? Don’t try to do it alone. Being accountable to others and helping them be accountable is a huge benefit whether in a challenge like this or in your everyday workouts. I did the 24 day challenge from Adovocare to start out the contest and it was a great way to get into the process as it was very methodical. Also it really helped get a lot of the toxins out without it being too difficult. For instance I used to drink tons of coffee and tea and during the challenge I cut out caffeine but did not have headaches or withdrawals so that I really did not miss those things.